Grid International is a world authority on building positive and productive work environment by developing corporate cultures into ones that can effectively manage challenges. Founded by Dr Robert R Blake and Dr. Jane S Mouton, two world renowned pioneers in behavioural science, the Grid methodology focuses on inter dependent relationships as a core feature of organization culture development. The Grid methodology has been used in industries, governments and educational institutions across the globe and is often cited as part of the foundation for countless publications, university programs and organizational development systems throughout the world. 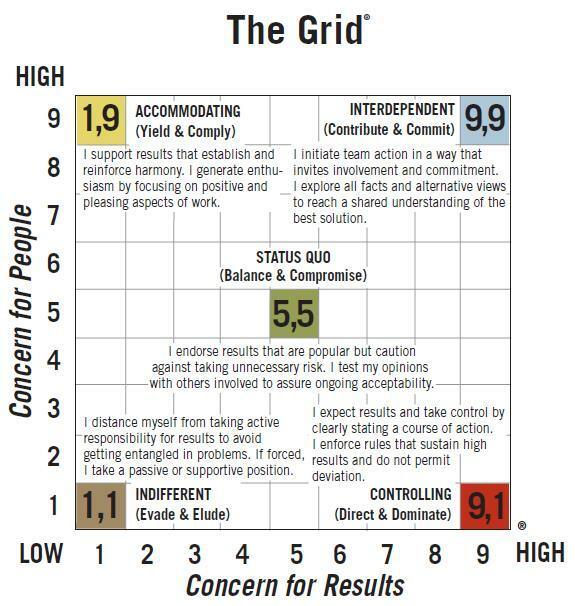 The Grid theory provides detailed profiles for seven styles demonstrated by individuals, teams and ultimately organisations. The Styles represent differing levels of two intersecting concerns, one for people and one for achieving results. Grid theory is folded into a culture development learning process that effectively removes the traditional facilitator or ‘expert’ role from the learning. The methodology focusses on candor skills that accelerate trust and respect and performance excellence. The learning process is called ‘synergogy’. The method’s clear measure of performance enables learners to observe their progress and motivates them to achieve even higher scores. One measurable result from Grid learning is demonstrated by the fact that 78 per cent of people who enter Grid learning value the same ideal behaviour, regardless of industry, language, country or culture. 70 per cent enter Grid believing their style is already ideal. 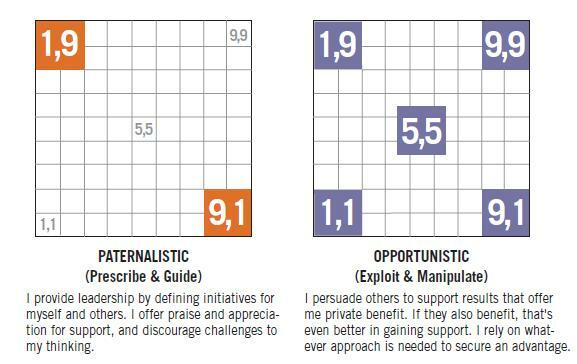 After Grid, the value for ideal behaviour increases, but only 16 per cent still believe their behaviour is ideal. This ‘gap’ between ideal and actual creates a strong and positive motivation to change personal behaviour, norms and culture. This awareness is reinforced with immediately applicable skills and tools needed to apply strategies and measure progress. We have found that the most successful efforts to improve organizations are led by example with vision, values, and change originating at the top. These values are then reinforced through actions that lead to support at the individual and group levels. To explore how the Grid can help your organisation achieve business results, contact us.